Always look at the postmark, it could be worth a fortune! 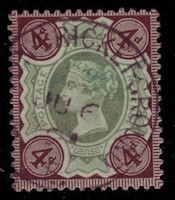 Queen Victoria 4d, SG 205/a catalogued at £40. Nice circular postmark. To be fair the picture on the eBay listing was bigger than this, but on my monitor the image above shows the stamp at about life-size. So what's special? Clearly visible in the postmark are the letters RICKET GRO - and in full, that's CRICKET GROUND. Apparently in the 19th century there were post offices at many cricket grounds and some used several different handstamps. Some had the place name at the foot, other at top like this which seems to be from LEYTON, the HQ of Essex CC from 1886-1933. Other post offices were at Halifax, Sheffield, Brighton, Lord's, Bristol, Taunton, Derby, Dover, Huddersfield, Sheffield, Liverpool, Hull, Southampton, Nottingham, Bradford, Halifax, Tonbridge, and Manchester. The one thing they have in common is that they are all scarce with in some cases only 10 copies being held by collectors - and cricket is a great thematic subject. 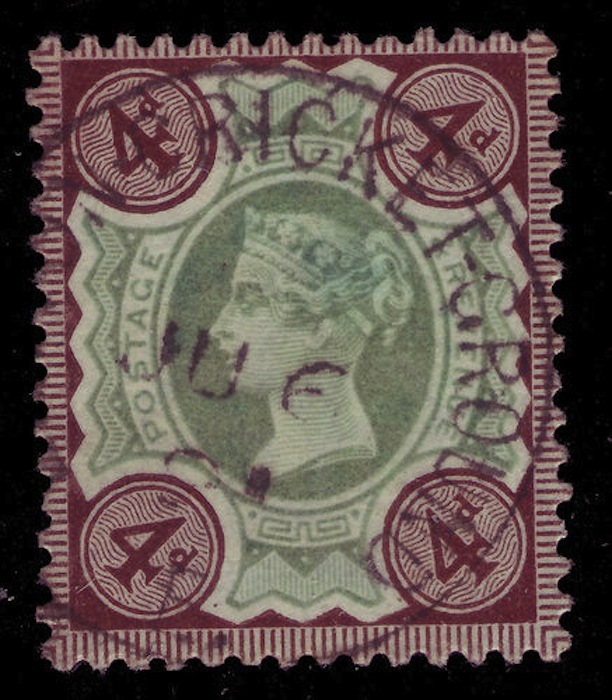 Which is why, although this started at a modest 29p which would still make a bargain possible for a £40 stamp, somebody bid this up to £1,800 !!! It will make many of us look closer at postmarks on stamps which normally wouldn't interest us, I think! Is it a coincidence that the stamp is postmarked June 6th? Totally, I never know what day of the week it is ! WOW, I often dump George V circular postmarked stamps on eBay never taking into account if they are special in some way. Great post Ian, I love postmark finds.